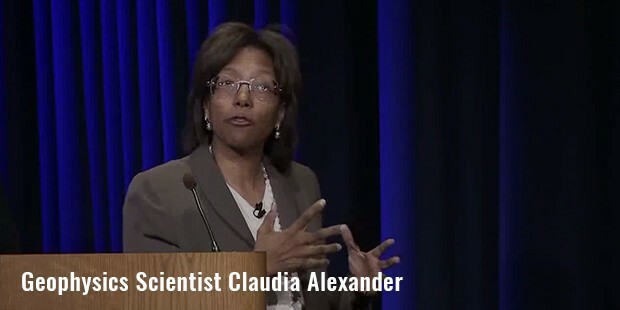 Claudia Joan Alexander was a geophysicist and a planetary research scientist. 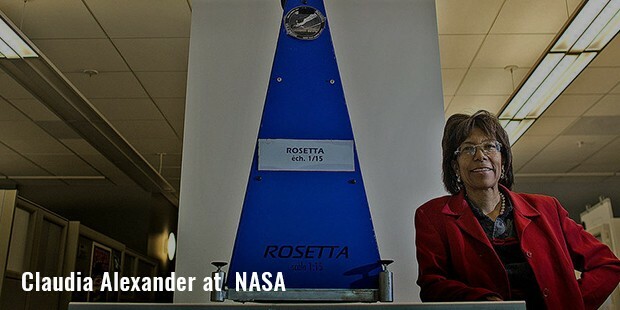 She worked for the United States Geological Survey and NASA’s Jet Propulsion Laboratory. She served as the final project manager on the Galileo Mission to Jupiter and as the Project Scientist in the triumphant European-led Rosetta Mission to Comet 67P/Churyumov-Gerasimenko. Alexander was born in Canada and was raised in Santa Clara, California. she was interested in writing and she hoped to be a journalist. But her parents convinced her to study engineering. 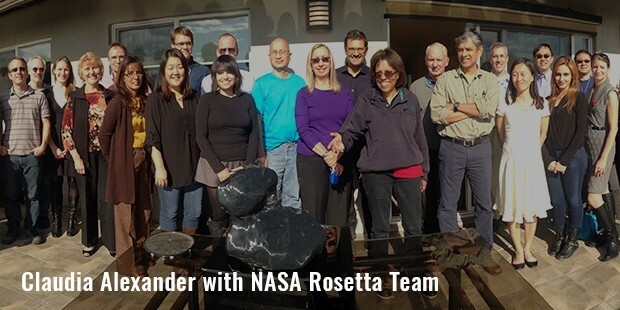 While she was still in high school, Claudia got a summer internship in the engineering department at NASA’s Ames Research Center and during the Internship, planetary science attracted her more than engineering. In 1983 Alexander received a Bachelor's degree from the University of California, Berkeley in geophysics and Master’s Degree from University of California, in geophysics and space physics in 1985. 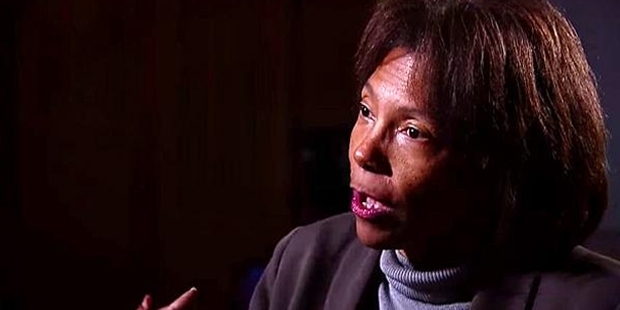 She earned her Ph.D. in the physics of space plasma from the University of Michigan in 1993. 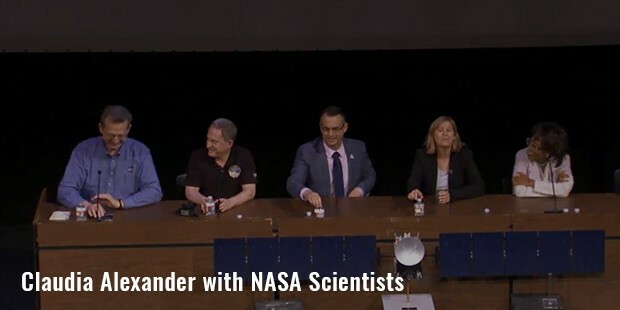 Alexander worked at United States Geological Survey studying plate tectonics and at Ames Research Center observing Jovian moons, before moving to NASA's Jet Propulsion Laboratory in 1986. Alexander was the project manager of the Galileo mission, its goal was to make the first study of Jupiter and its moons and magnetosphere from orbit. She was a project scientist of the Rosetta mission, it aimed to make a detailed study of a comet and is the first mission designed to orbit and land on a comet. Apart from the scientific work, Alexander wrote science fiction and children’s book. She also enjoyed horse riding. Alexander died on July 11, 2015 in Arcadia, California of breast cancer. Alexander believed it’s not just the technical skills that will allow us to get the cool jobs. The ability to argue, interpersonal skills and special concern for people also play a part.